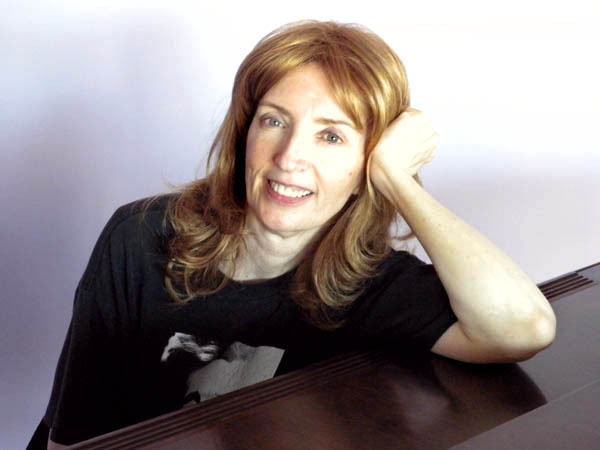 Mari L. McCarthy is the founder of www.CreateWriteNow.com, home of Journaling for the Health of It™ and the Journal Writing Therapy Transforms You blog. She guides writers (and we are all writers) in starting and keeping a daily Inner Healing Journal Practice that helps them solve problems, cure their dis-eases, and heal their life. A singer/songwriter, she is currently working on her third album--a smooth jazz rendition of favorite Broadway melodies. Passionate about goals and successful in accomplishing them, like getting the beachfront home she lives in south of Boston, she enjoys raising roses and her consciousness. WOW: Welcome, Mari, we are thrilled to have you on The Muffin today. What is Journaling for the Health of It™? WOW: What great benefits! Sounds like EVERYONE should do it. How did you get started with journal writing therapy? Mari: About twelve years ago, I had a Multiple Sclerosis (MS) exacerbation, where I lost feeling and functionality on the right side of my body. I discovered Julia Cameron’s "Morning Pages" and thought that would be a good, logical, organized, left-brained approach to teach my left hand how to write legibly. Shortly thereafter, I started remembering bits and pieces of my childhood; I started to hear rhymes and began writing poetry for the first time. I was starting to discover the real me, and it was nowhere near who I had been thinking I was. One day the phrase "Journaling for the Health of It" showed up on my pages, and I decided to create a business around therapeutic journaling and share it with the world. WOW: Sounds like it was meant to be! How can journal writing therapy help a woman writer? Mari: It helps women writers learn more about the person who really lives in their body. We carry around so much what I call “crazycrap” – erroneous messages we ingested as children (no wonder we have so many health challenges); and therapeutic journal writing helps us purge those voices and messages and live our life from the inside out. Using a journal at your computer when you are working on a writing project helps get through the stress, blocks, and assorted other women writer challenges. WOW: This all sounds great and like it can really help someone's writing career. So, what are the journal writing services you offer? Mari: I offer telephone or Skype private journaling therapy workshops dealing with "page fright" or writer’s block or whatever life issues women writers are attempting to deal with. I also offer special unlimited e-mail and telephone mentoring workshops when someone purchases a copy of 53 Weekly Writing Retreats or Peace of Mind and Body: 27 Days of Journaling to Health and Happiness. WOW: So, how much do these services cost? Mari: The first private workshop is $75, and then each workshop is $85. I offer a three-session package for $225. Currently I‘m running a "Journaling for a Stress-Free Holiday Workshop Package" for $197, where we work on identifying specific seasonal stressors, set goals, and create an action plan for thriving through the holidays. WOW: What a great idea to help writers or anyone get through the hectic holiday season. When someone contacts you, how do you help them figure out what services they need? Mari: We have a conversation about what life issues they are currently faced with and where they are on their Journaling Journey (never journaled before, been away from it for a while, and don’t know why or …), then they decide how to proceed. I can be reached at mari@CreateWriteNow (dot) com or 781-834-6331. WOW: Thanks for the contact information. On your website, you list journaling ideas and journaling tips. What are two or three tips or ideas you can list here for beginning journal writers? Mari: The most important thing to remember: there is only one write way to start and keep a personal journal—your way! Journaling is a great opportunity to learn how to stop pressuring yourself for perfection and start enjoying your Self. Choose a journal, pen, and writing space that please you. Maybe start with a brief meditation. Maybe use a quote as a journaling prompt. Find a picture, paste it in your journal, and write about it. Ask your journal a question or just start writing for a page or for a certain amount of time. WOW: Tell us more about your e-book, 53 Weekly Writing Retreats. What will writers learn with this book? Mari: The book was designed for the Journaler to spend an hour a week with herself and dig deeper into her inner world while working with unique journaling prompts and exercises, like doodling. To help women writers make it a habit of spending quality time with themselves. *I have a free e-book, How to Use your Journal to Cure Writer’s Block Now at www.CreateWriteNow.com. I’ve just released a new e-workbook, Peace of Mind and Body: 27 Days of Journaling to Health and Happiness, and the spiral bound version will be available by Thanksgiving. Also on sale: Mari’s Most Musefull Journaling Tips. WOW: Great, Mari, thanks for sharing all this information with us! Writers, e-mail Mari at the above address if you're interested in finding out more about Journaling for the Health of It or check out www.CreateWriteNow.com! You might find the journaling prompts at http://www.creativewriting-prompts.com/journalwriting.html as well as the ideas on different kinds of journals useful to get started.